Mat Everett, has called concerned fans so-called ‘armchair developers’. 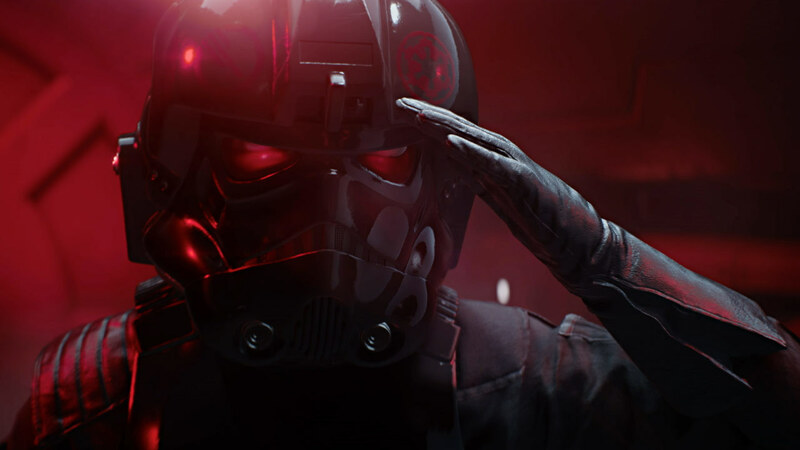 Everett took to Twitter to respond to concerns about Battlefront II’s micro transactions, which allow players to noticeably improve their characters in competitive multiplayer. Fans are opting for character progression based on performance and skill, rather than progression based on time spent. 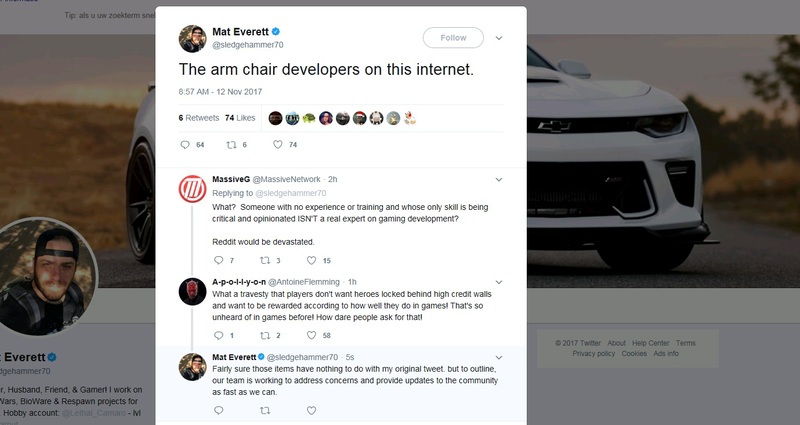 “The armchair developer on this internet”, Everett tweeted. Following backlash on social media from fans, EA’s community manager decided to delete his initial tweet, but not before it was screenshotted and archived. Everett’s tweet is a reference to the armchair quarterback term which is often used when ‘fans’ in their armchairs scream at their television acting like they would be the better player or coach. The matter is now the subject of debate on the Star Wars Battlefront subreddit with more than 1500 replies: “A competitive multiplayer game thats $60 and has pay to f****** win multiplayer deserves every bit of fan backlash. Not buying it because of this. Its a throw away game. ill rent it from family video for $2 lol”, reads one of the replies. Taking tweets out of context, and fun Sunday conversations. I did Twitter wrong today. I am logging off. My tweets earlier had nothing to do with community remarks or topics within or around SWBFII. I made a tweet about a general thing and people claim I am speaking about my games community complaints. #disheartning #Frustrated Sorry to those who think it was about Star Wars. I removed those tweets as hordes of angry gamers being told I was speaking about them were upset. I get that, but someone misinterpreted my tweet, I again apologize for that, but it was not my intent. Trust me I am at bat for this community and game/franchise I love. Whether Everett’s tweet was indeed taken out of context remains to be seen, but the damage has already been done. Star Wars Battlefront II is out later this week on PC, Xbox One, and PlayStation 4.